We all want the perfect manicure but we might not want to pay top dollar for it. 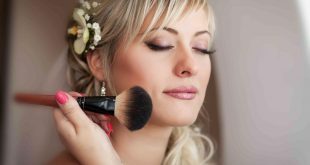 It is an easy thing that a girl can do to keep herself looking good and save that cash for a new purse or shoes. It may take a little time but it is worth it to do it yourself. Just put in a DVD and follow these simple steps and by the time your princess gets her prince you will be done. I want to address the nail length first. 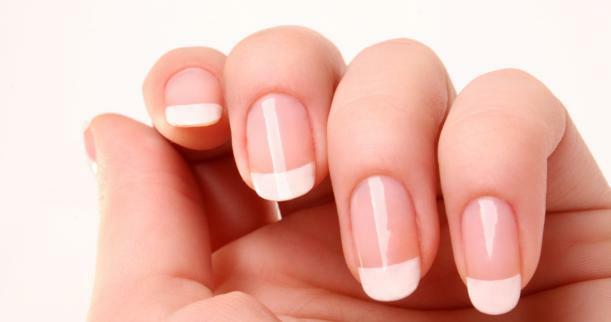 Short or long a nail is a nail and it deserves some style. You do not look any better or worse with short nails so why not celebrate them. You can do the same things with a shorter fingernail that you can with a longer one. Some designs cannot be done on short nails but you can still have some finger flair. First you must wash your hands. It removes the oils that can get on nails and cause paint to not dry right or even stick to the nail. It is also a good prep since you are doing this yourself you have to open your own bottles of polish and topcoat. Now go to the kitchen and get some extra virgin olive oil. You can buy a Vitamin E oil from your local beauty section as well if you prefer but this girl is about the cheap so its olive oil. You can use any oil other than vegetable or corn oil. Place a fifty cent piece size pool on your hands and rub it in. Maybe ask your boyfriend or girlfriend to give you a hand massage at this point. It will feel good and help the process along. Who doesn’t want a hand massage? Not all of it will absorb so just let it sit for like 5-10 minutes to get all the moisture you can from this step. Things might get tricky here but you can handle it. Go to the kitchen and get some sugar or salt and place it on your hands without rinsing the oil off. You can also buy a product that is a sugar or salt based hand exfoliant from your local beauty store. Rub your hands together to exfoliate the skin removing the dead skin that was leaving your skin dull and dry. Do not do this for too long just long enough to be like a hand washing. Sing happy birthday while doing this over the sink to pass the time. Now it is time to wash the oil and exfoliant off your hands. With you newly clean soft hands you can begin to address the nails. Choose your color and shake the bottle for about a minute. Some bottles have a little metal ball in them but others do not. A good shake makes sure the color is mixed properly and ready for your fingernails. Once you have shaken it you simply unscrew and paint a nice neat thin coat for the first one. Give this coat about 5 minutes to dry and now you can do up to 3 coats until you are satisfied with color. Wait for 20 minutes for all the coats to dry enough for top coat. Once your color is dry its time to do some topcoat. Take your top coat of any kind and paint it on. I recommend doing one light coat and letting it dry. An additional coat will ensure that this manicure lasts for more than 2 days. I have had it last up to a week with 2 coats. Wait about 15 minutes to let this coat dry so that you can add my secret trick. For my last step I take a product that helps dry your nail polish in 60 seconds. I know Sally Hansen makes it as well as others I imagine. Go get this it is worth every penny and will have you looking good for a long time. Simply take the nail drying oil and place it on the top coat as directed. The packaging says one minute but I give it 5. Better safe than starting over. Now just rub the oil into your fingers as it has vitamin E in it and will add softness to your hands. Lastly sit back and watch the rest of your movie. In about 45 minutes you have done a beautiful manicure that is sure to fool your girlfriends paying top dollar for theirs. Plus you got to watch your favorite movie again and get that new purse. A little time can save some money and still look great.